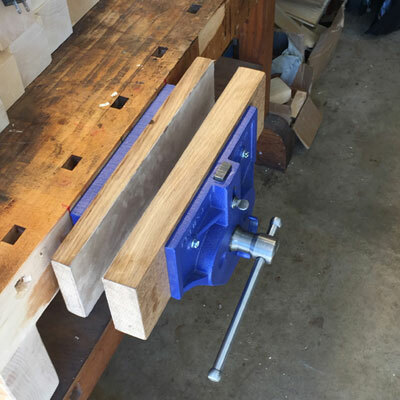 In the June 2017 issue of Wood News, Forrest Bonner shares how he installed the 10 inch Eclipse Quick Release Bench Vise onto his 40 year old workbench. When I made my workbench some 40-odd years ago, there were no readily available workbench plans as there are today. I had been reading Tage Frid and James Krenov and those books did have pictures, so I laboriously starting trying to scale a workbench based on them. It has served me well. Click to read how Forrest improved an already great workbench with his new Eclipse Quick Release Bench Vise.